Register for our online service (please ask for a registration form at reception. You will also need to present valid forms of ID showing your photo and proof of residence). 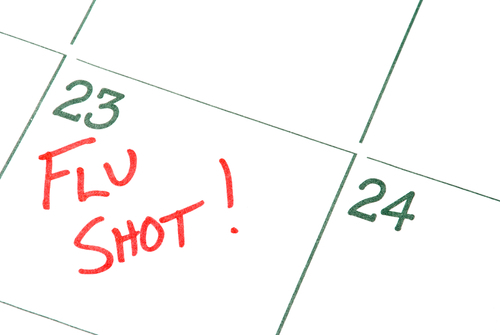 Half of our appointments can be booked up to four weeks in advance. On-the-day appointments are released at 8:00 am. The online system shows all available GP appointments so we recommend that you try logging on at 8 a.m. to see appointments that have been released on the day. If appointments are not shown at 8 a.m. trying refreshing your browser. To avoid the early morning rush if you wish to make a routine, pre-bookable appointment we recommend phoning after 10:30 am. In addition to our routine appointments, an ‘Urgent Surgery’ provides an Advanced Nurse Practitioner, supported by a duty GP, to respond to any urgent problems that need to be dealt with on the same day. We also have an allocated GP to carry out any home visits that are required. For all face-to-face appointments you are able to receive a reminder by text message 24 hours before your appointment. All you need to do is give us your mobile number and this will automatically happen. If you no longer need your appointment please follow the instructions in the text in order to cancel the appointment. Please note, if your mobile number has been given in relation to another medical record (e.g. partner or child), you will also receive appointment reminders for them. We also offer telephone consultations. Often these will be suggested when following up investigations or changes in medication. Please note that telephone appointments cannot be booked online. We are working together with other local practices to offer more appointments in the early monrings, evenings and at weekends. Speak to a member of the practice team to find out more. If you require the presence of a chaperone during your consultation please make your request at reception prior to your appointment. Our staff have been trained to provide professional, discrete chaperoning. c) If you have registered for our online appointments service you are able to cancel booked appointments using the online system. d) If you have given us your mobile number and receive an appointment reminder by text, you have the option to cancel the appointment, following the instructions in the text message. If at all possible, it is best to see our patients at the surgery where we have extensive equipment and facilities available as well as easy access to the clinical record and the support of other staff if needed. However we do appreciate this is not always possible. If you do need a home visit you can help us by calling us on 01275 841630 before 10:30am. The visiting doctor will need to prioritise the visits based on clinical need. To support this, please be prepared to pass on some details to the reception staff. The doctor may phone you before visiting to confirm the clinical details and to determine if a home visit is indicated. Occasionally, the doctor will make arrangements for an alternative member of the community team to visit such as a District Nurse. Please note, home visits are time-consuming and put a great pressure on resources. They are almost never appropriate for children or the usually fit and well and it is the doctor’s right not to visit if he thinks the request is medically inappropriate. In the event of a genuine life threatening emergency please dial 999. For life-threatening emergencies requesting a visit from a GP can delay life-saving treatment. 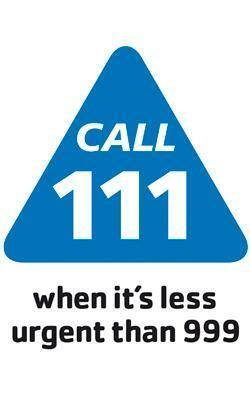 If you have an urgent medical problem when the surgery is closed please phone NHS111 by simply dialling "111". This number is free to call from both landlines and mobile phones.